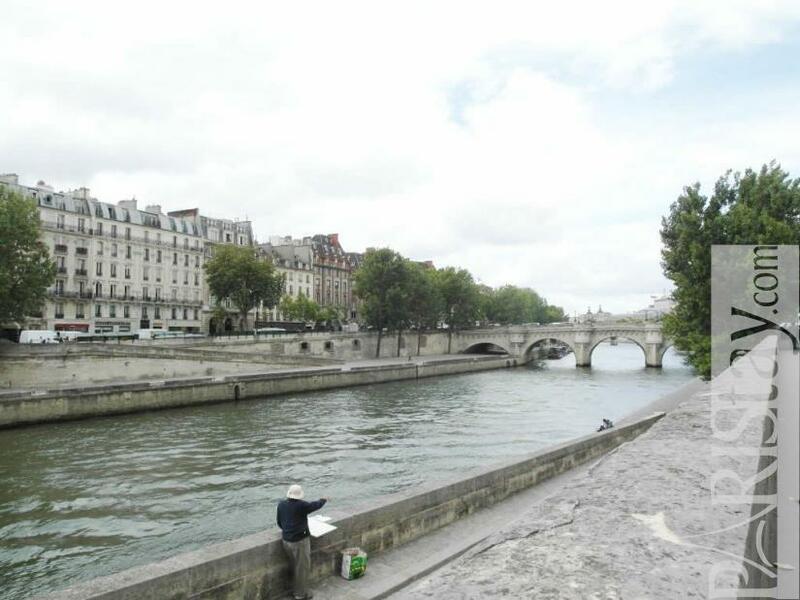 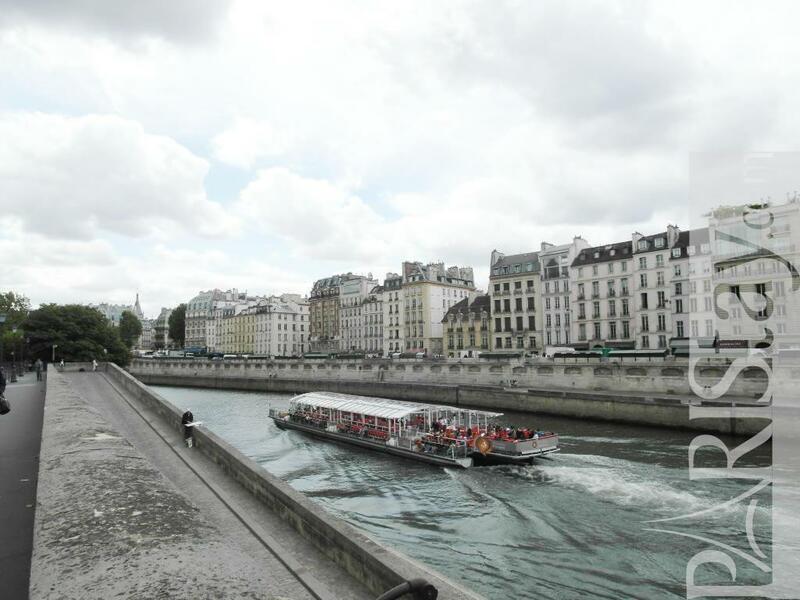 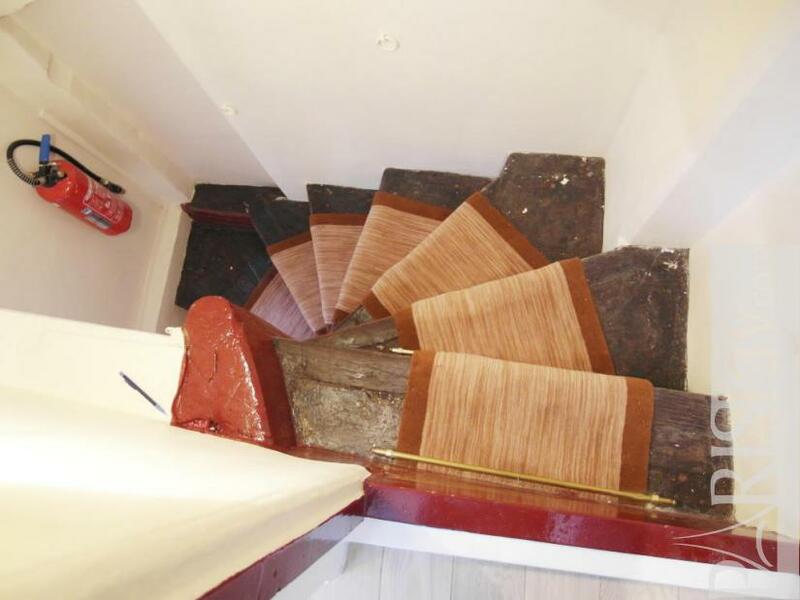 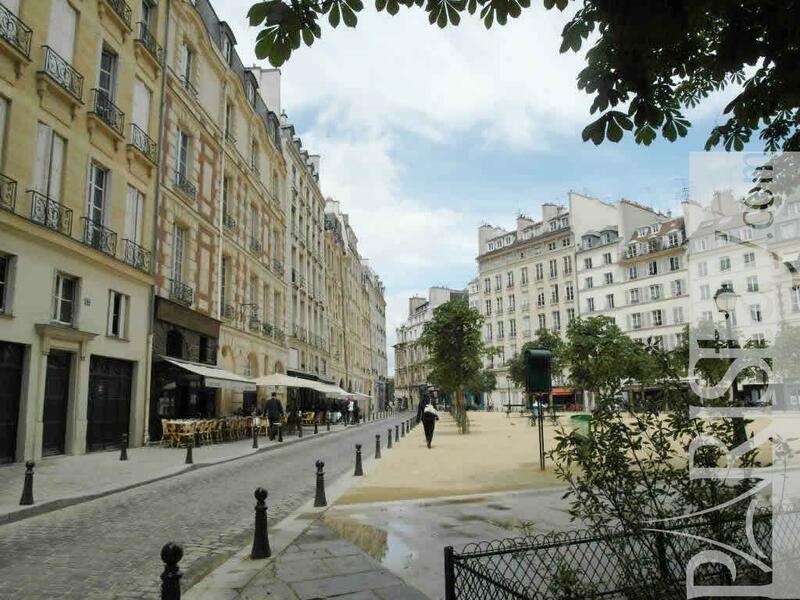 Located Quai des Orfevres on the famous Ile de la Cite steps a way from the Latin Quarter, the beautiful Notre Dame and facing the Seine river it is a very central location. 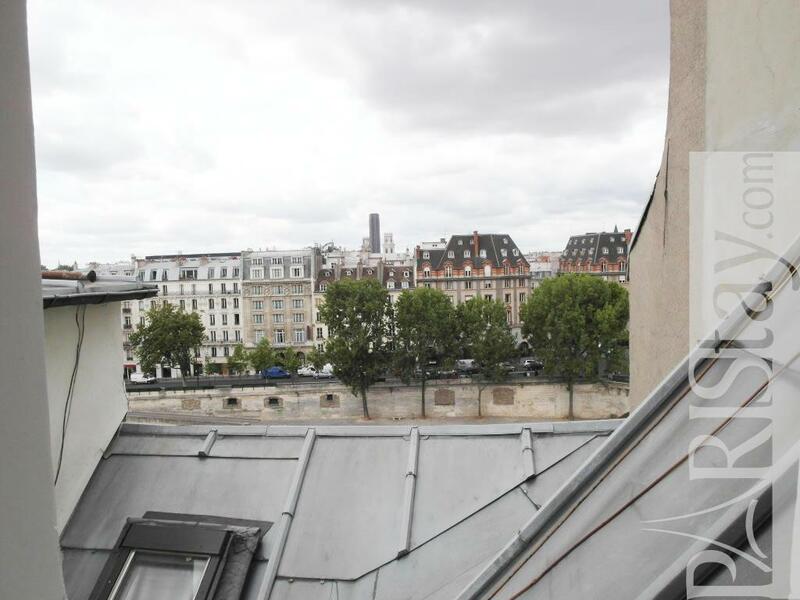 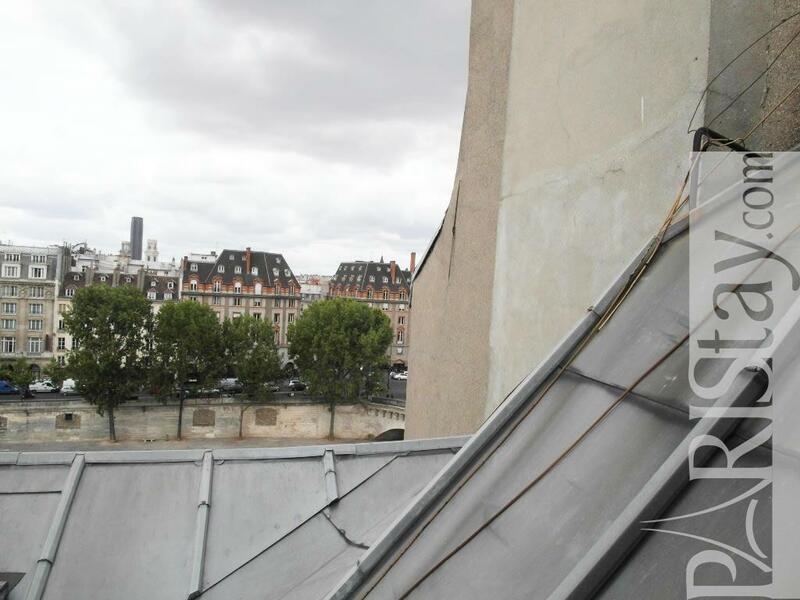 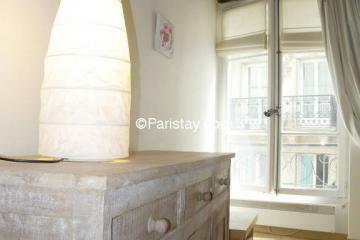 Situated on the 6 th floor without elevator of an authentic 18th Parisian building it is perfect for a Paris long term rent. 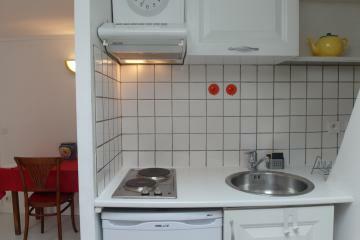 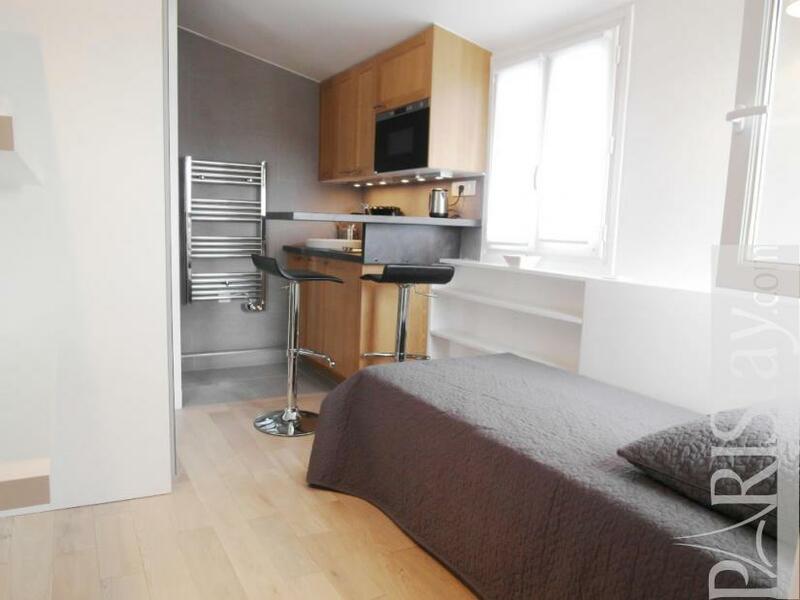 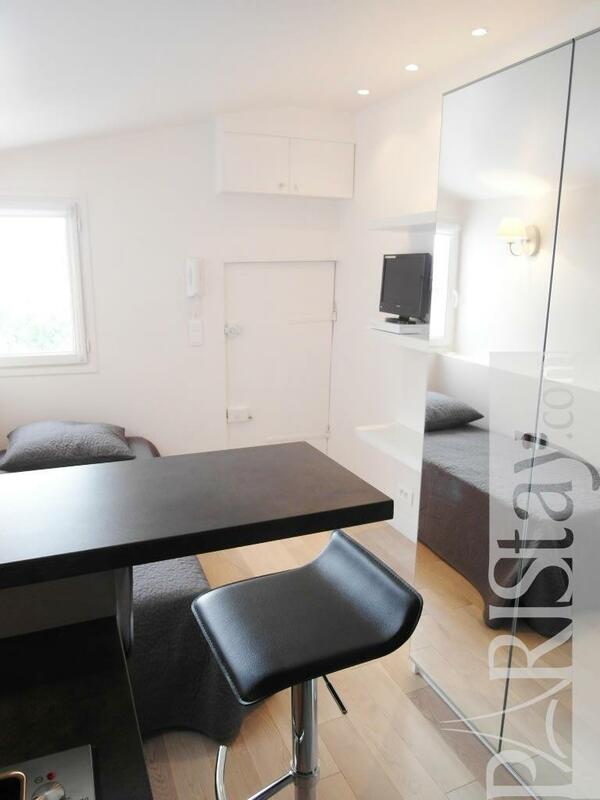 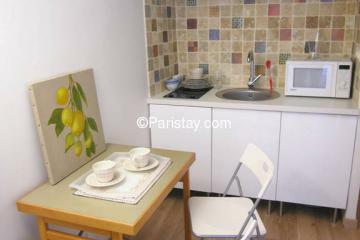 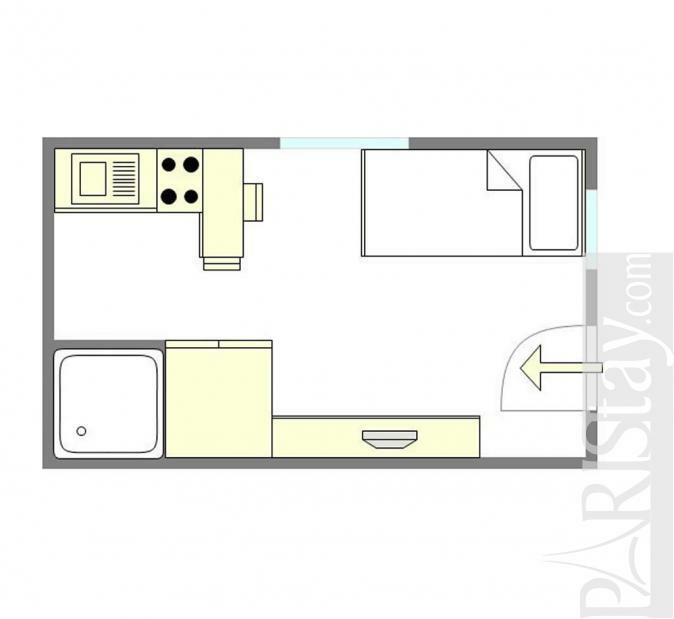 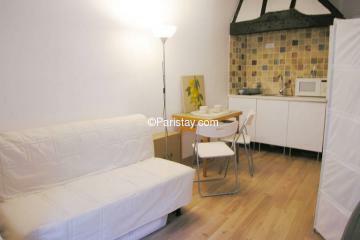 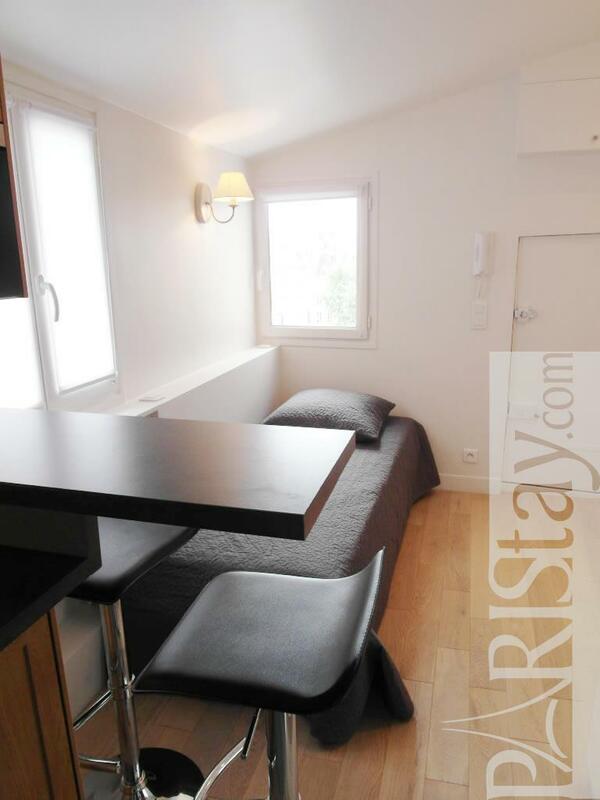 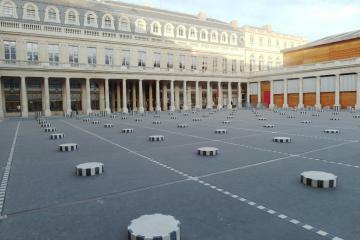 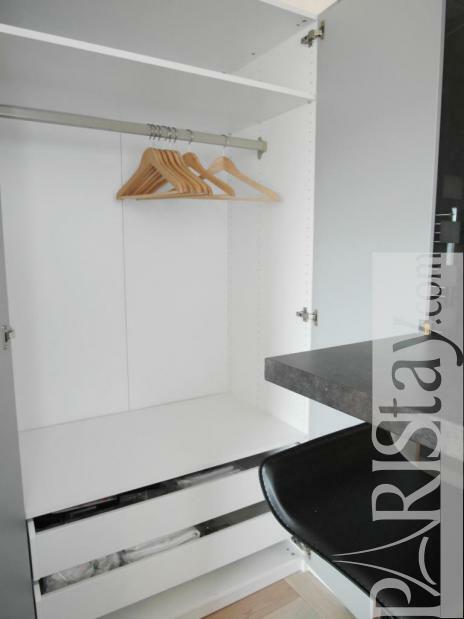 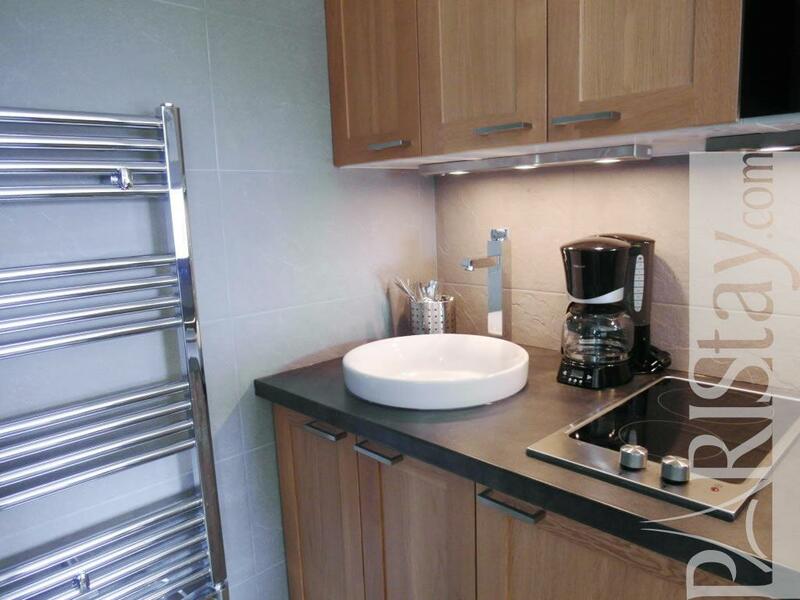 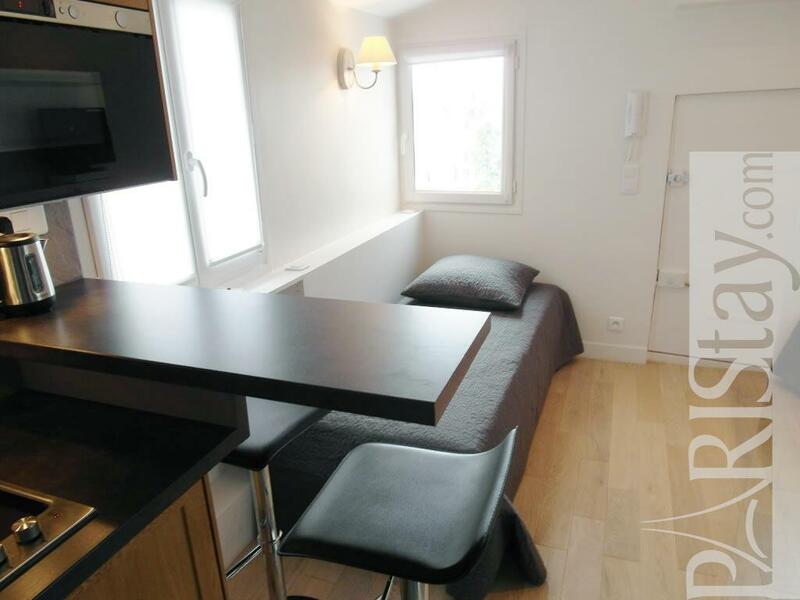 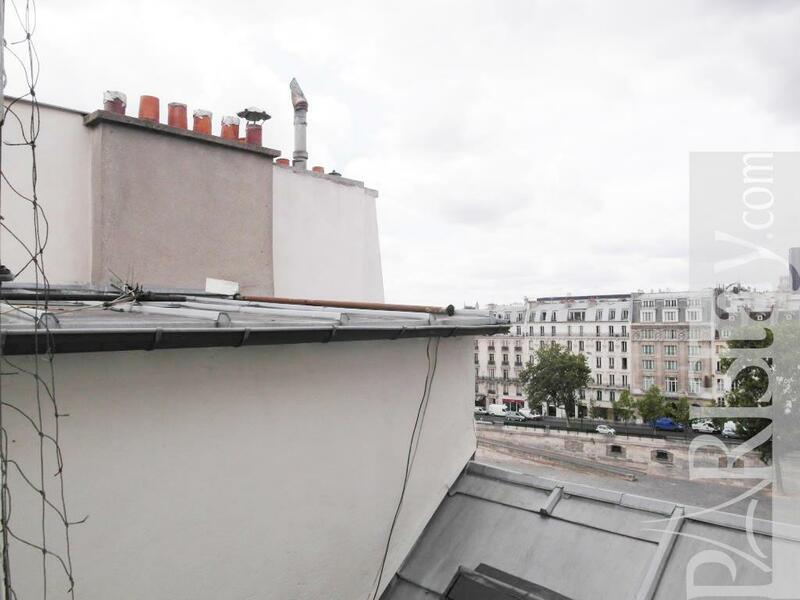 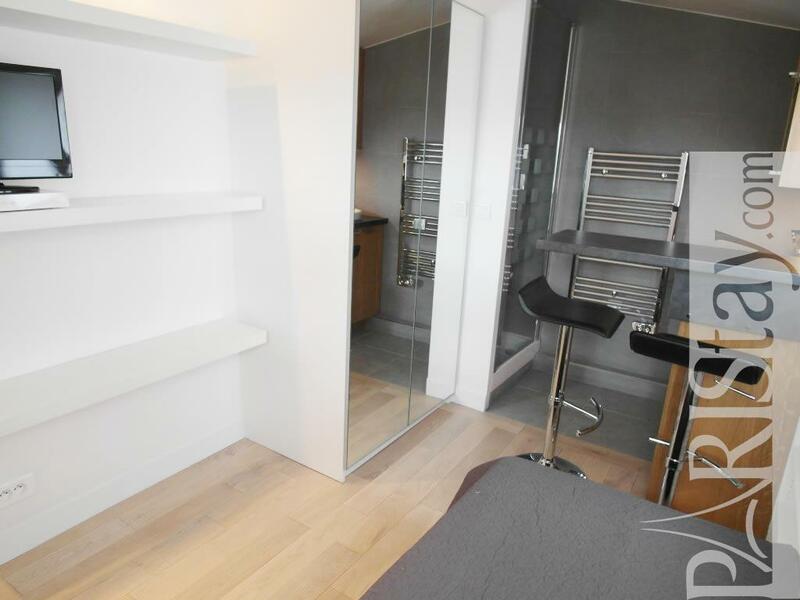 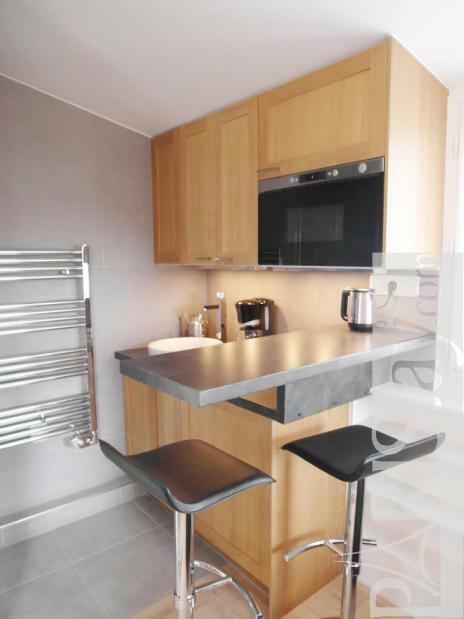 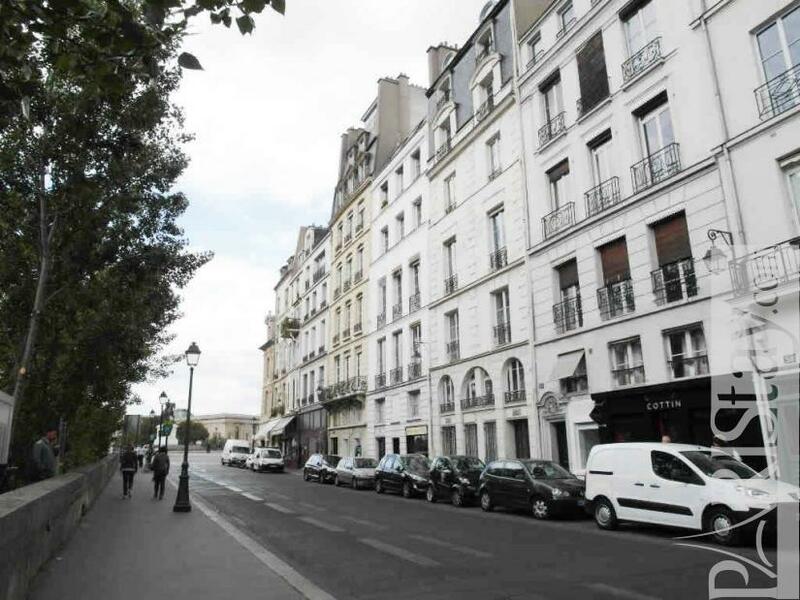 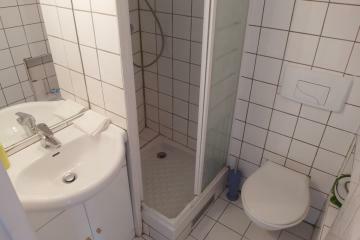 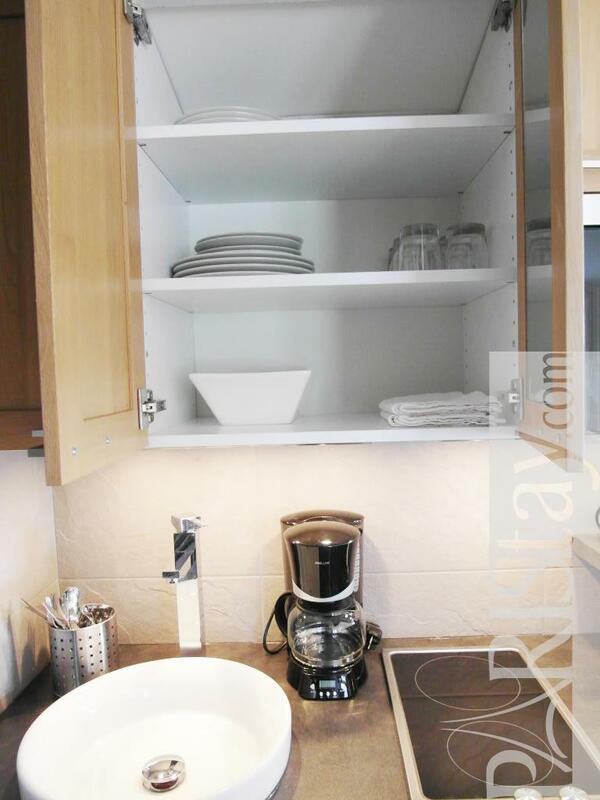 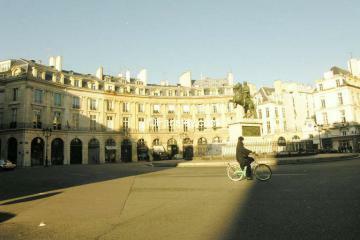 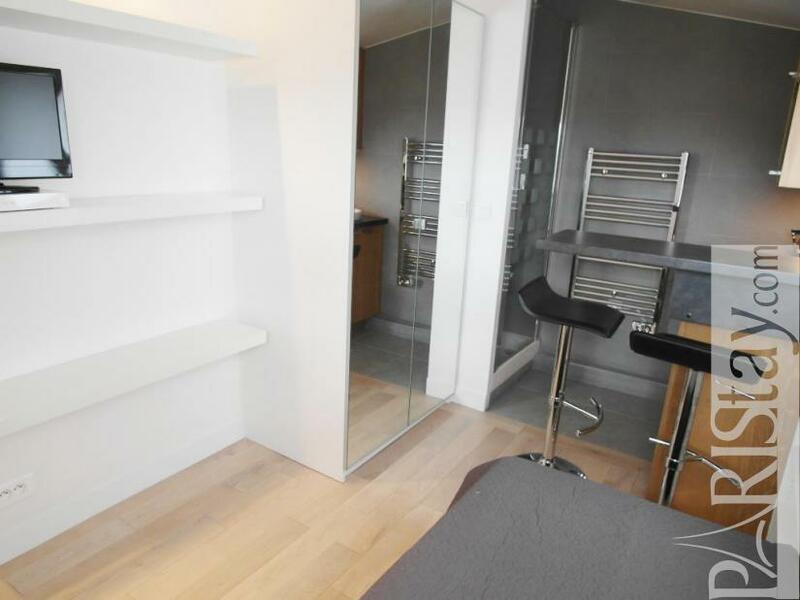 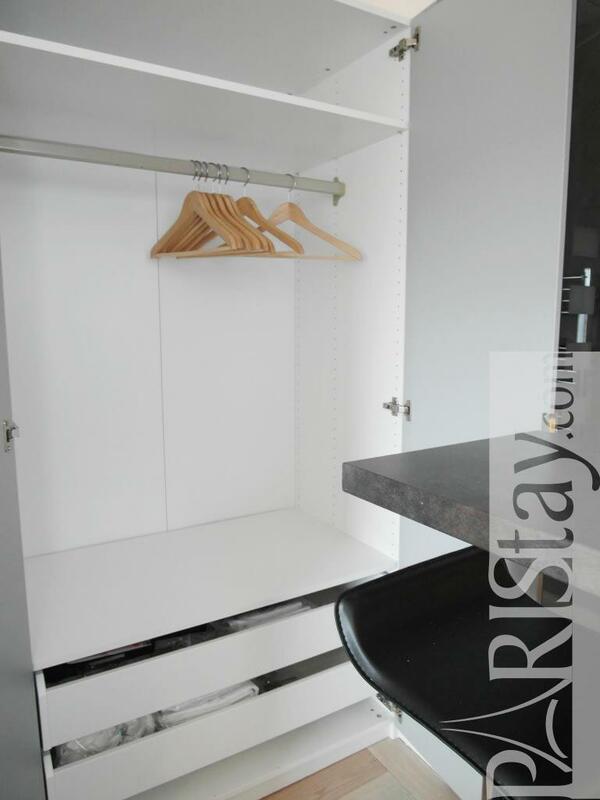 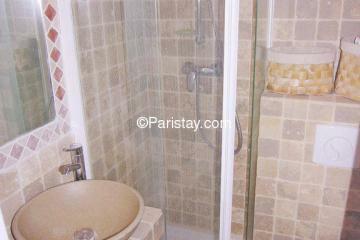 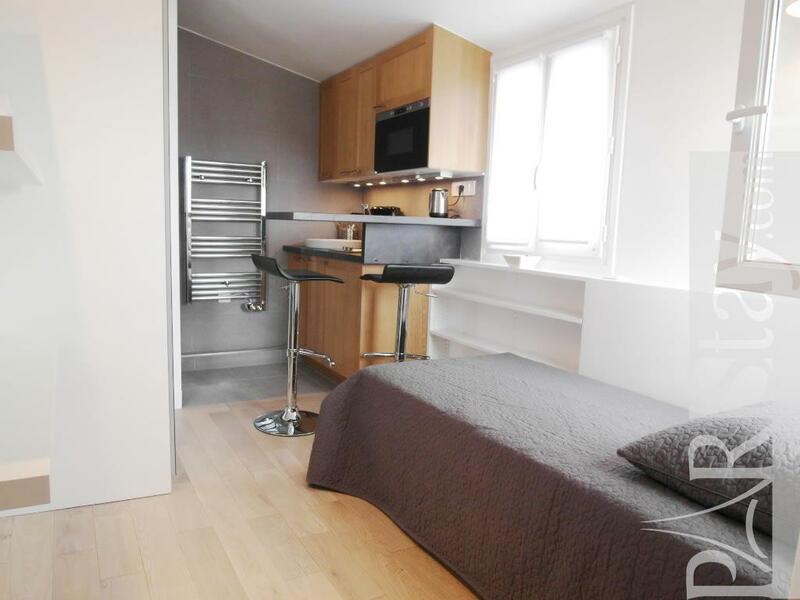 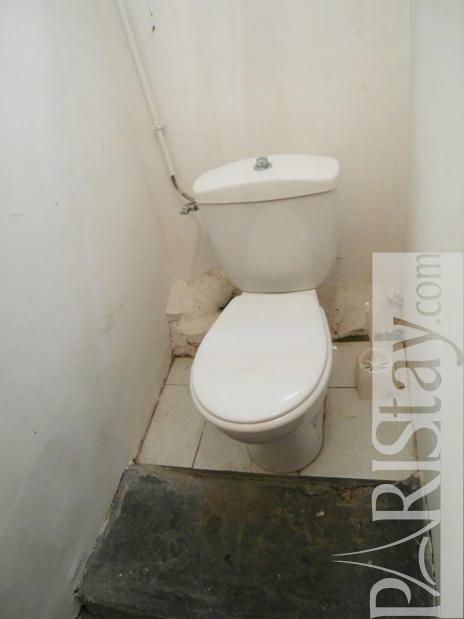 Fully furnished this Paris studette is very convenient. 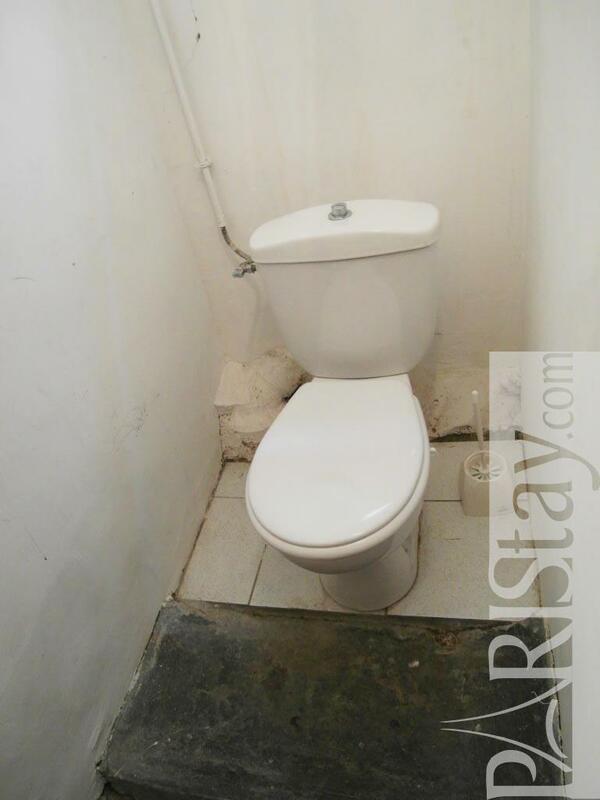 The toilet is in the hallway on the landing and only shared with one other studio. 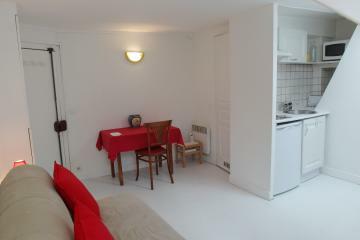 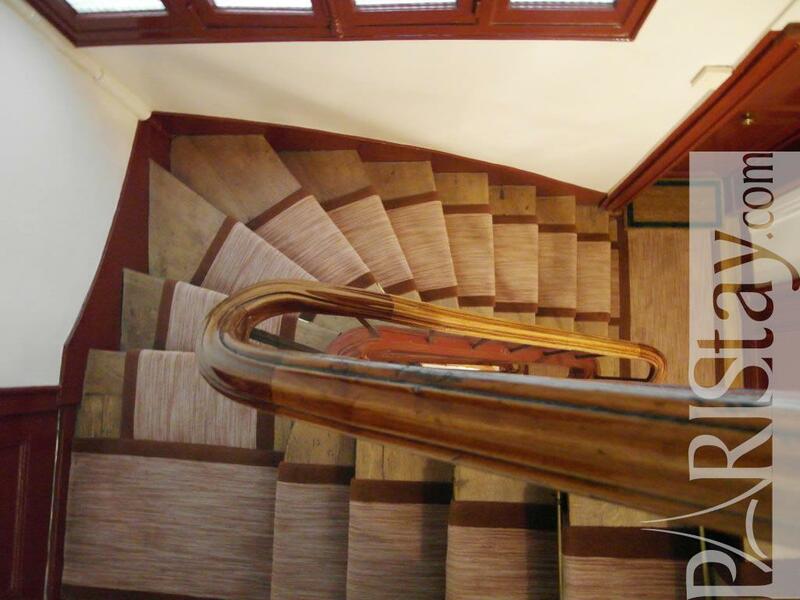 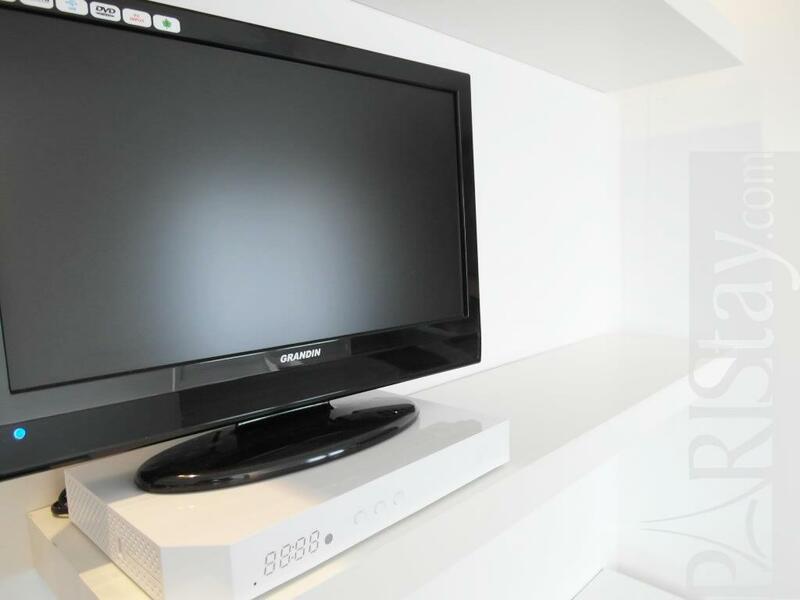 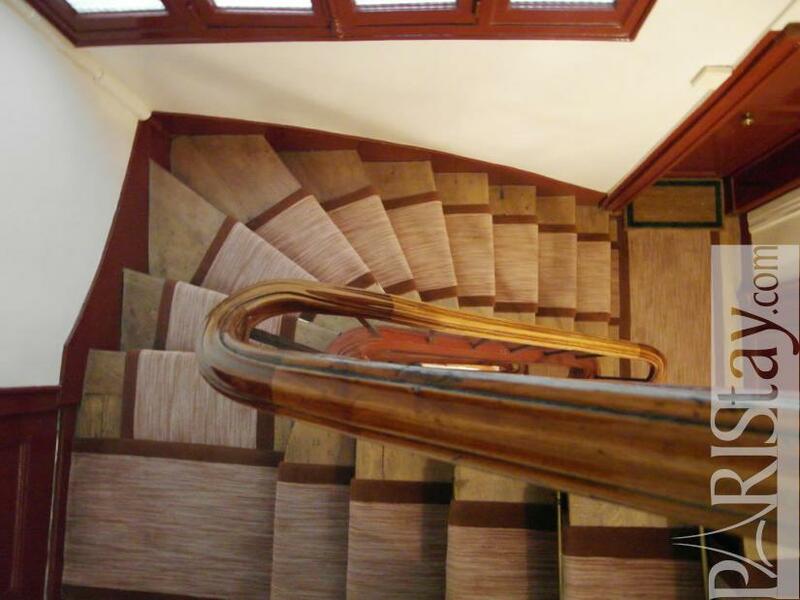 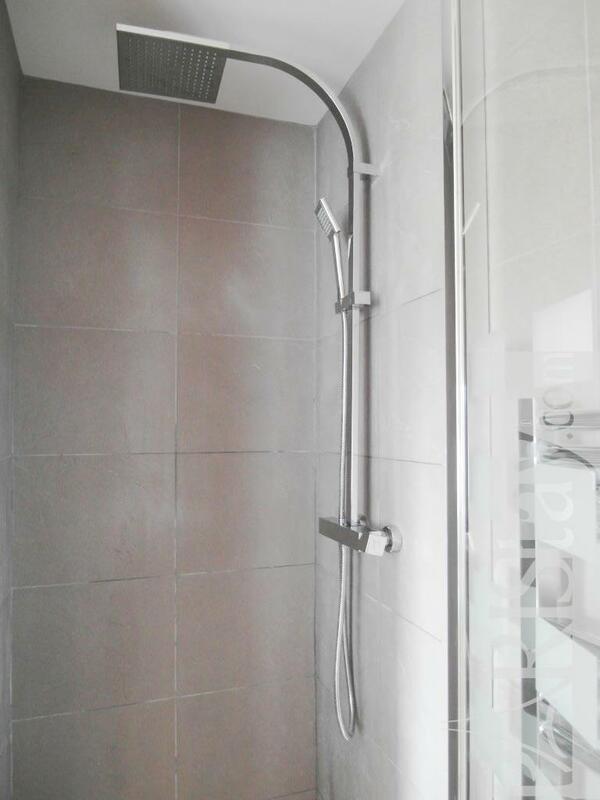 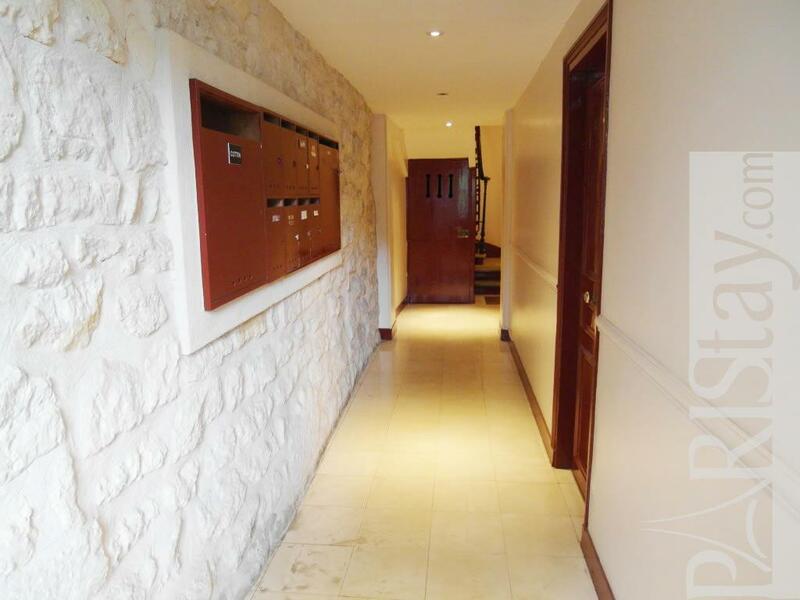 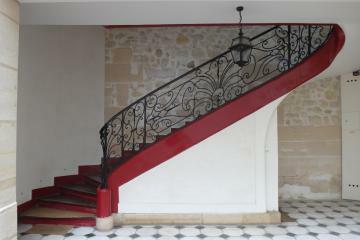 18th's Building, 6 rd floor, without Lift, with intercom, Student studio Appartement, furnished, Approx: 10m² / 108 Sq.Ft.